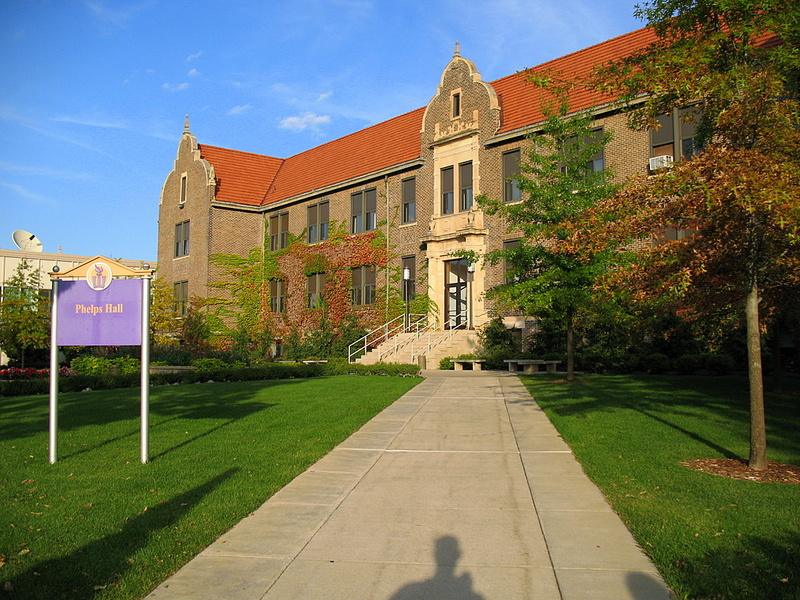 Phelps dance studio is the Winona State Universities Dance Program's primary space, teaching dance technique and theory classes, class projects, student, faculty and guest artist rehearsals, monthly Arts Improvisation Jams and informal showings. I liked the approach to the building plus all the fall colored ivy growing on the walls. 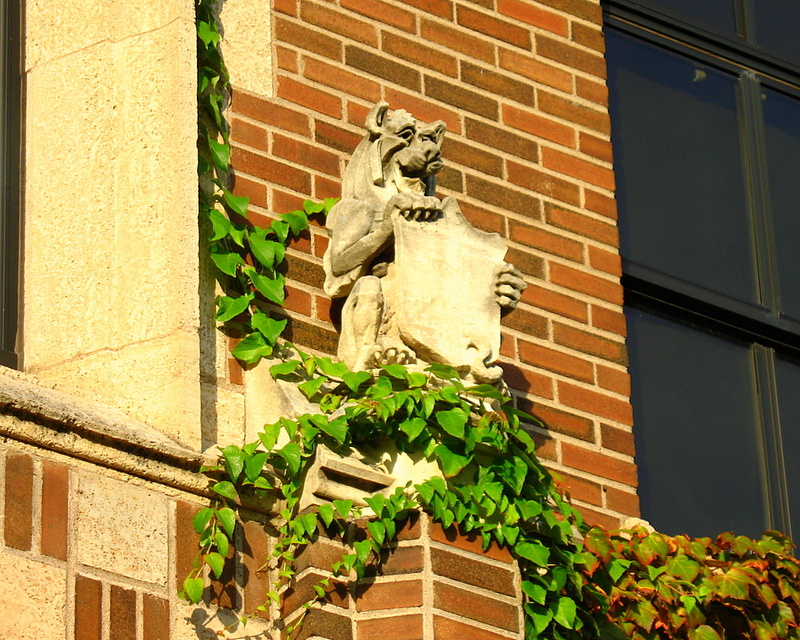 The smaller extra photos are a few more captures of the building and around the WSU campus. If you read yesterday's post, I mentioned the view to the right was a 10 mile view from Garvin Heights. Here is that amazing view I mentioned. 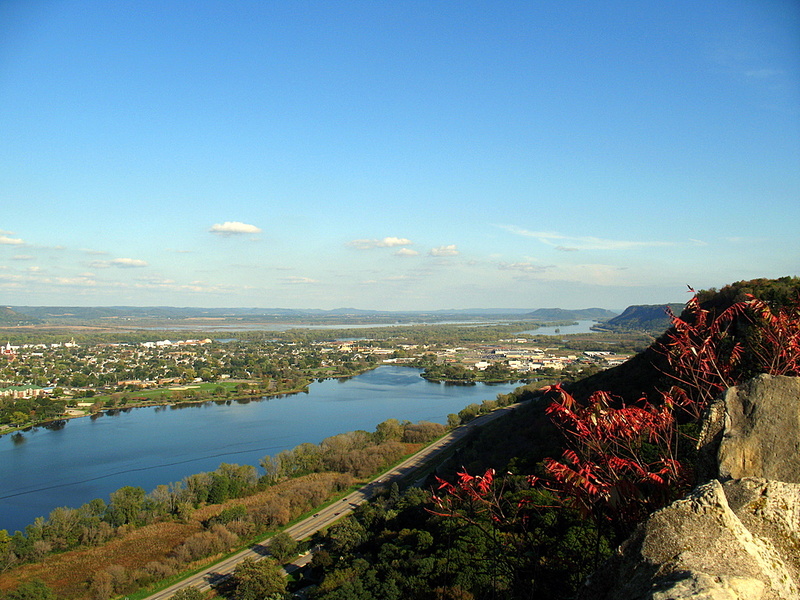 It show really how the city of Winona is built around a lot of water and just barely above it from this vantage point. The first smaller photo is the view to the left and a 20 mile view. The second small photo is a closer view of the main photo. 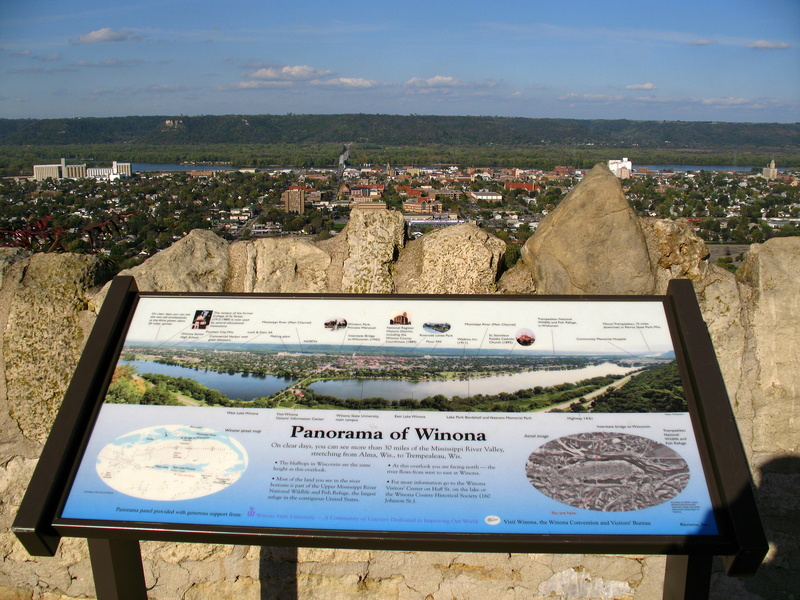 The third smaller photo is a capture of the panoramic shot that is on display of Garvin Heights and points out a lot of the highlights of Winona and it's surroundings. One note on the third photo, I kept the photo size very large so you could read the text in the photo. It's at 2816 x 2112 pixels. Being as it's a long holiday weekend, I'm going to venture away from the Twin Cities to one of my favorite scenic places outside of the Twin Cities. Well, at least within a two hour drive. 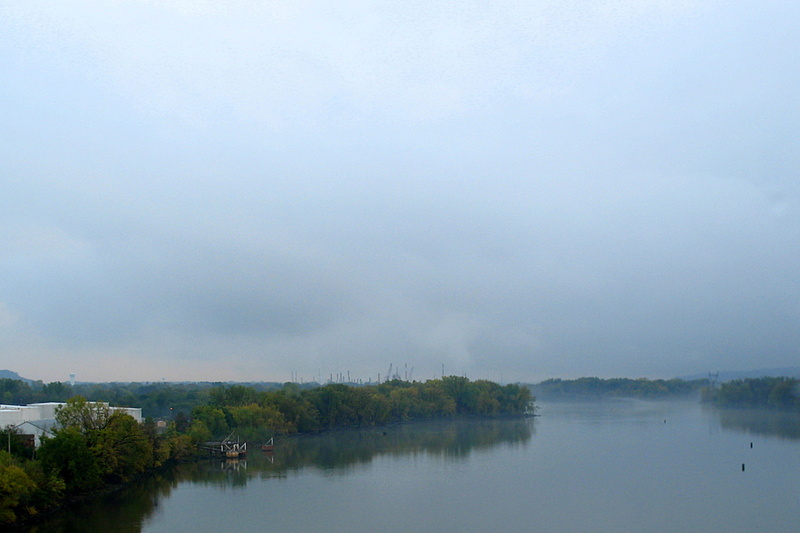 I showed you yesterday's spectacular drive by view along the Mississippi River on Highway 61. 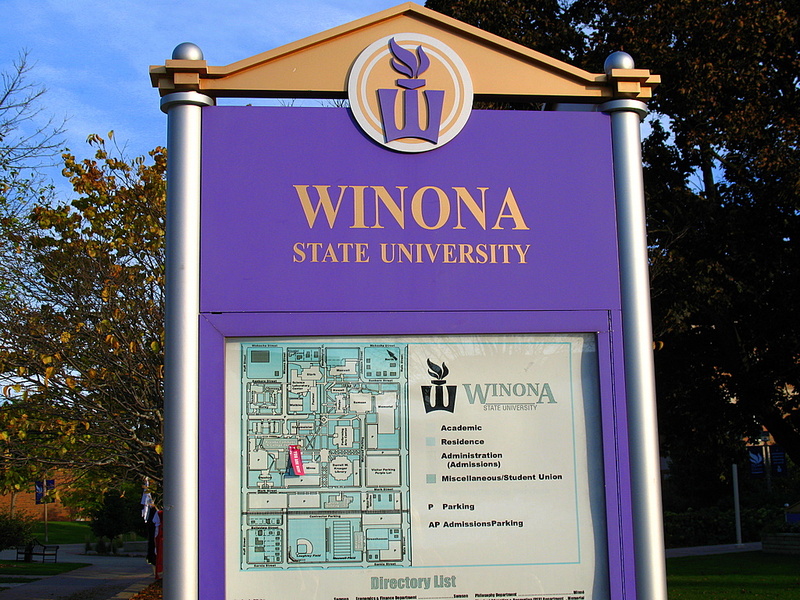 Today I've made it to Winona, which was our destination for the day. 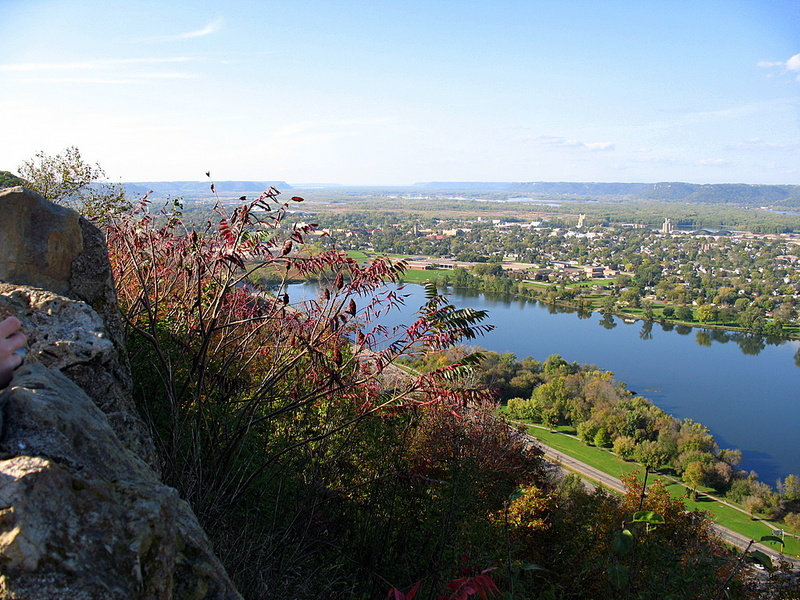 Our first stop was to Garvin Heights on the bluff overlooking the city of Winona. Across to the other side is Wisconsin. Oddly enough, the height of the bluffs on the other side is exactly the same as the side I am standing on taking this photo. 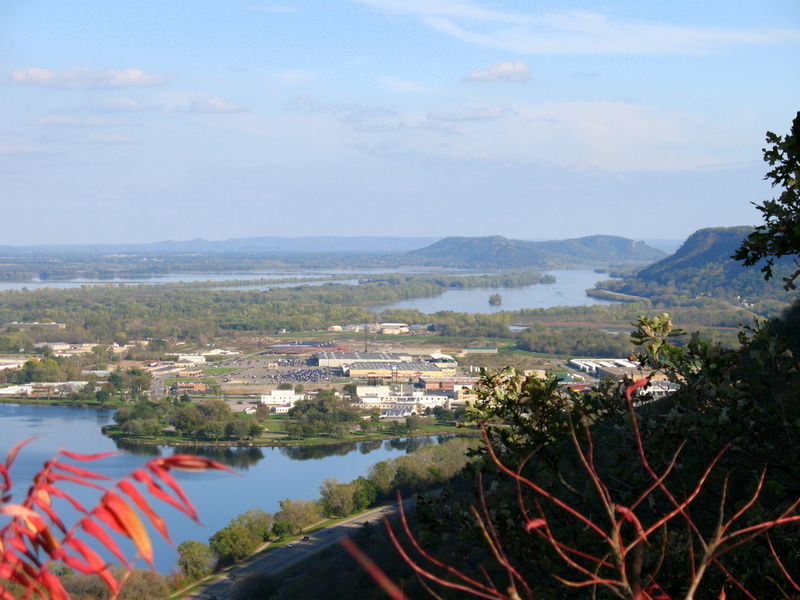 The road at the bottom of the photo is Highway 61, the body of water on the left is called, West Lake Winona, the body of water on the right is East Lake Winona. The road splitting the two lakes is called Main Street. 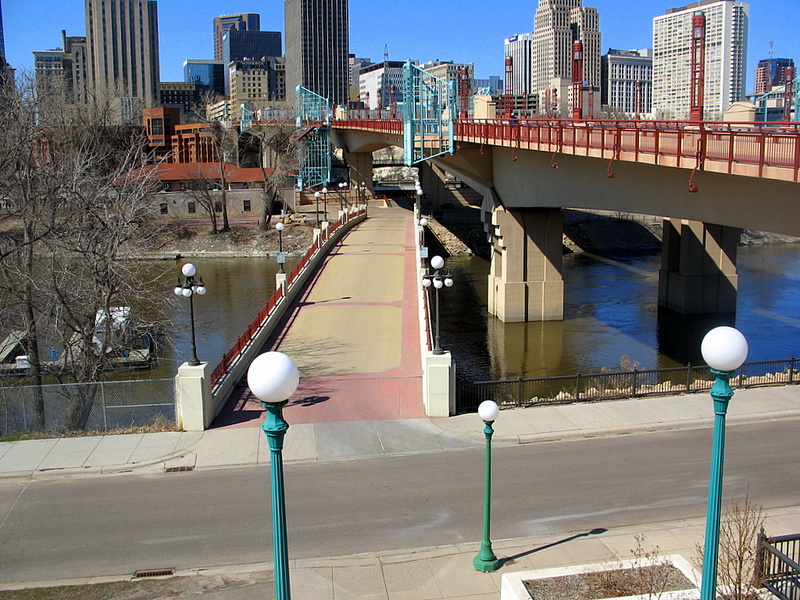 One street over to the right of Main Street has a bridge that crosses over the Mississippi River to Wisconsin. On the far right of the photo and just above the lake there is a football stadium where the fans had just ran onto the field. It's probably very hard to make out exactly what I'm talking about. The band was playing and the people where cheering loudly enough to be heard from where I was. 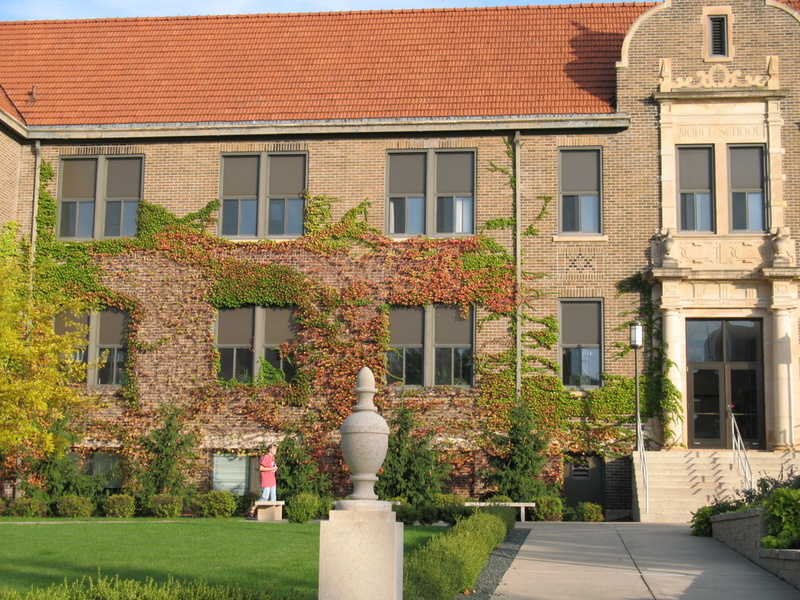 The buildings around the stadium with the orange/reddish roofs is the Winona State Campus. The view from here is incredible any time of the year. On clear days, one can see for 30 miles along the Mississippi Valley. 20 miles to the left and 10 miles to the right. From where I am standing, the direction I am facing is North, with the river flowing from the West to the East. Nope, this photo was taken along one of my favorite areas in Minnesota. I'm just south of the Twin Cities on Highway 61 traveling to Winona. 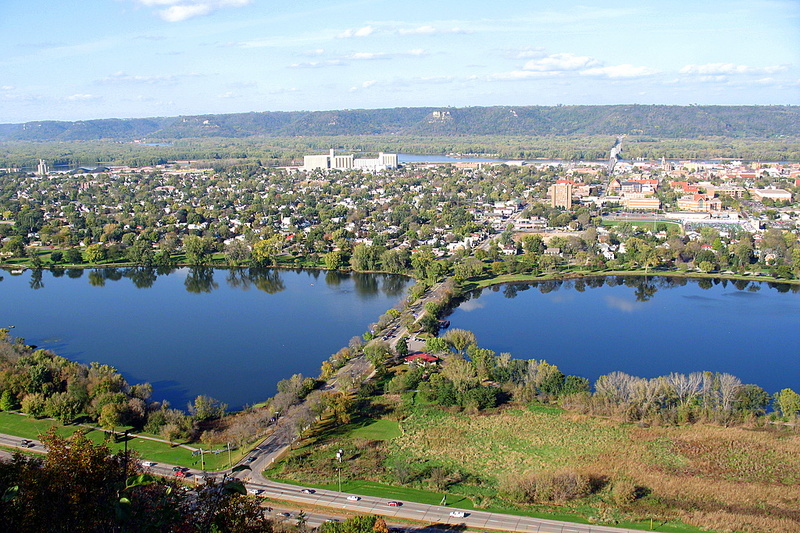 The body of water you're looking at is Lake Pepin, which is in Lake City. 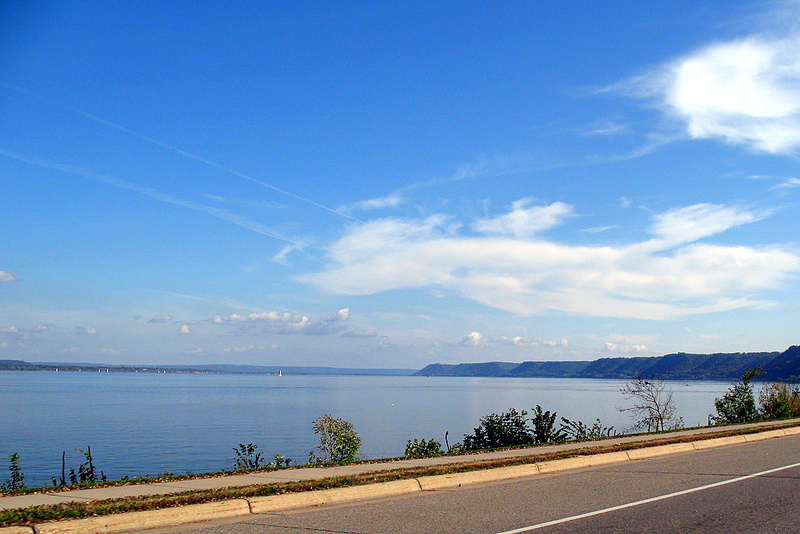 Lake Pepin claims to have invented water skiing. What's strange about Lake Pepin is, this is really the Mississippi River. There is just a very large area of water that Lake City decided to call a lake. The bluffs you see on the right is Minnesota, the land you see on the left is Wisconsin side. 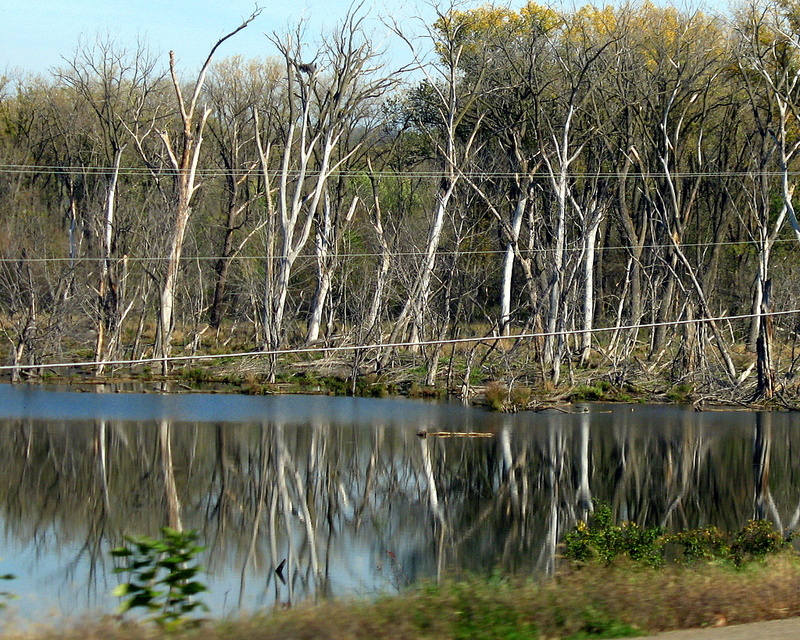 Highway 61 snakes around the bluffs and is quite the drive during the fall time of the year. 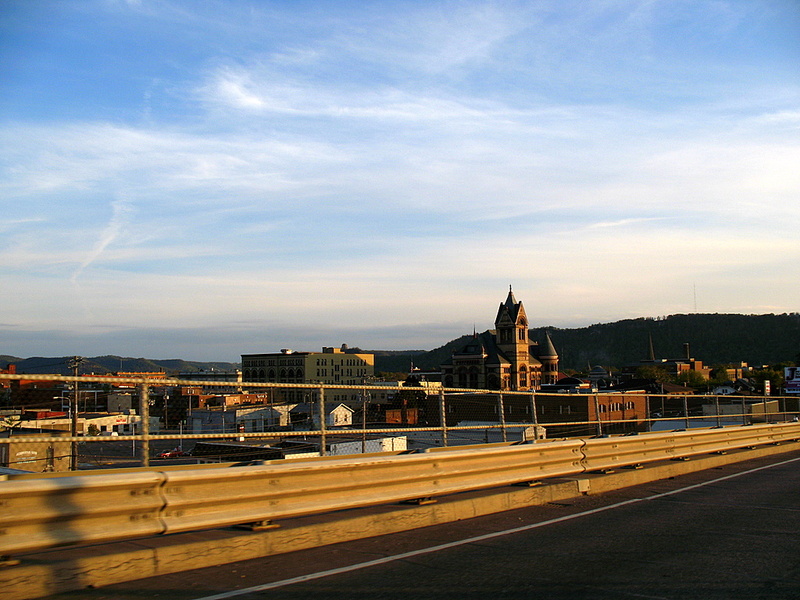 When I took this trip down to Winona, we missed the peak fall colors by about a week. It was still a very enjoyable trip and I'll be posting a few photos of the area over the upcoming holiday weekend. 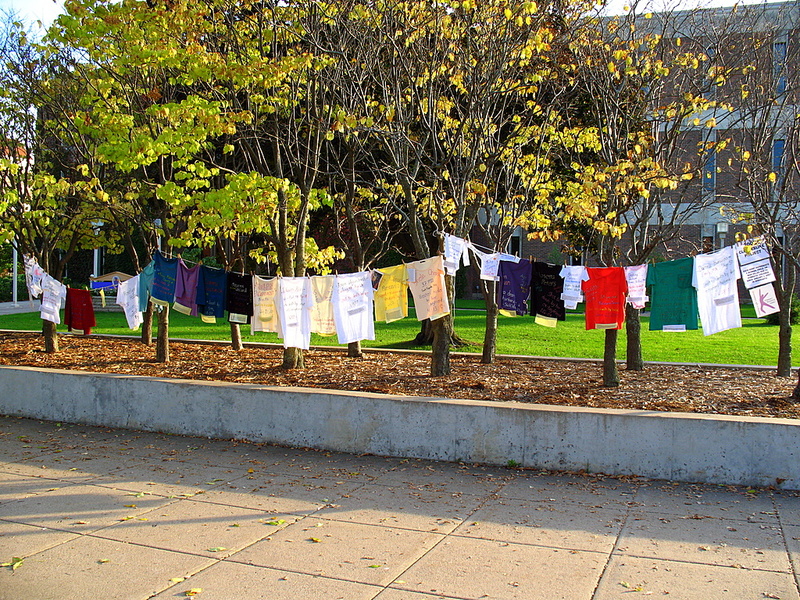 Each shirt represents a woman, child or man killed due to domestic violence since January 1, 2007 in the state of Minnesota. 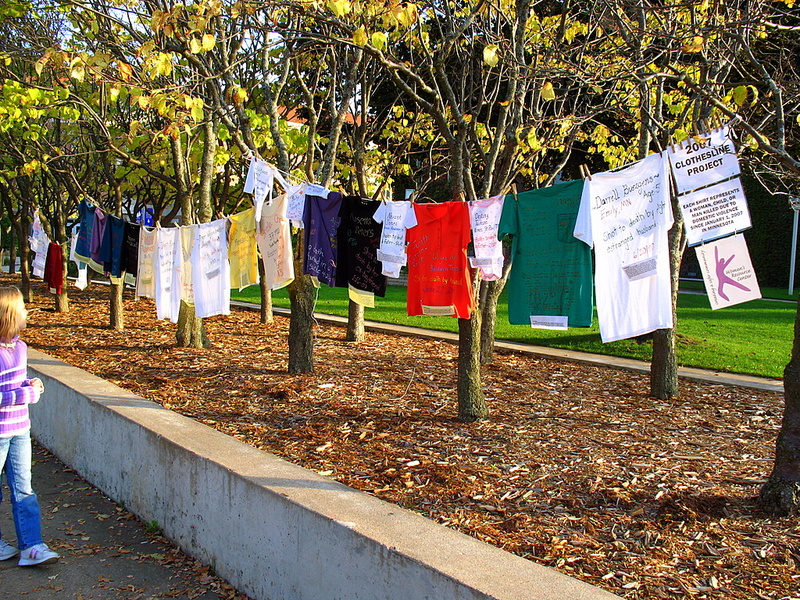 Domestic violence victims account for over 25% of violent crimes in Minnesota. 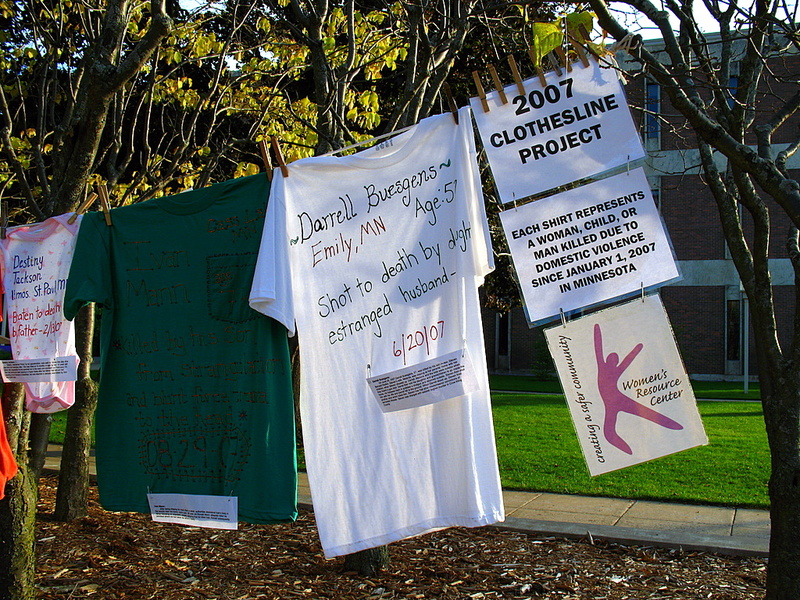 According to the 2002 Minnesota Crime survey, 80% of victims of domestic violence in Minnesota did not report the incident to law enforcement. If you cross this inviting bridge, you would be on Raspberry Island. 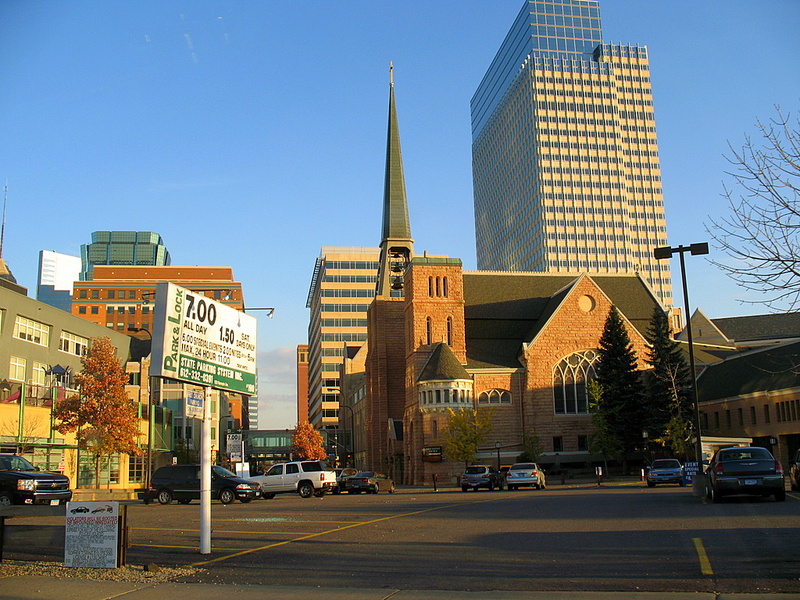 In the background is downtown St Paul and the island sits on the Mississippi River. 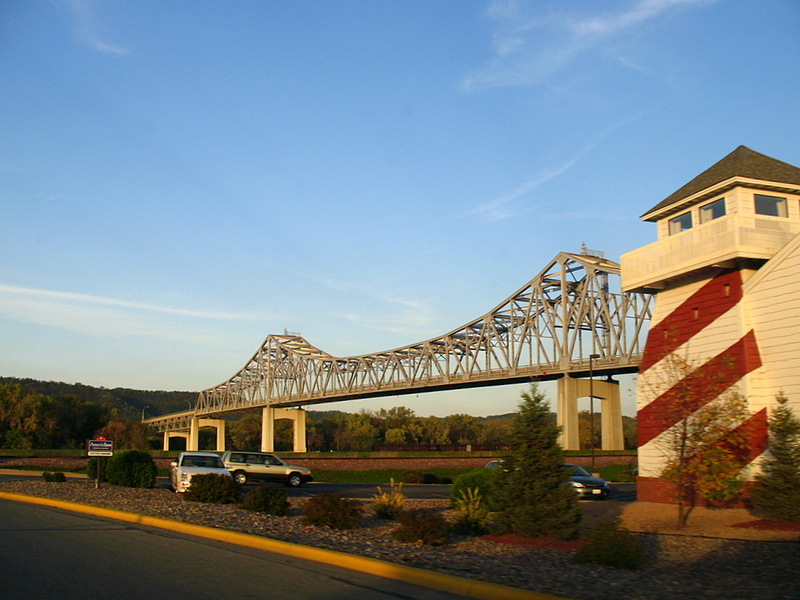 The bridge you see on the right that cross Raspberry Island and the river is called the Freedom Bridge, though I've always known it as the Wabasha Avenue Bridge. It was renamed when they rebuilt the bridge. 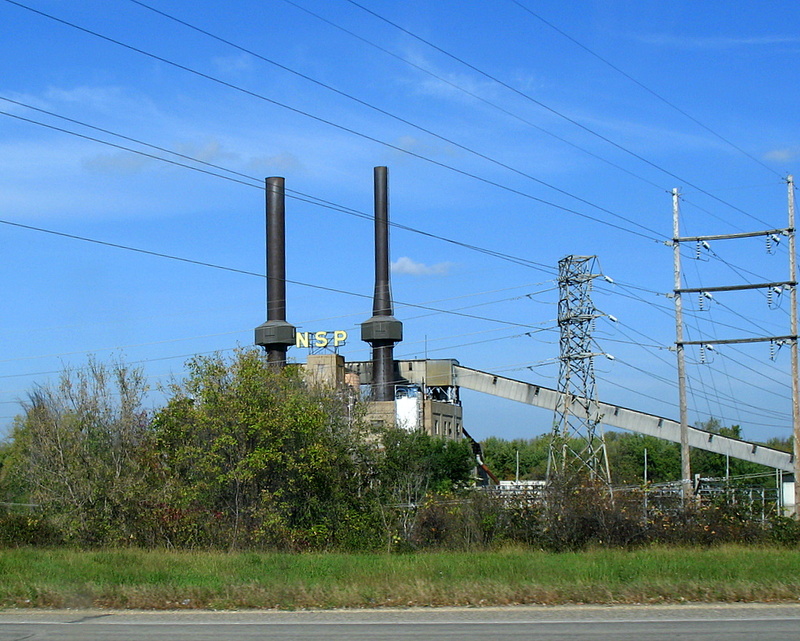 Raspberry Island has not always been call what it is today. I've always known it as Navy Island. I grew up in this area and I'm always taken back at how much changes when you've been away from the area for so long. 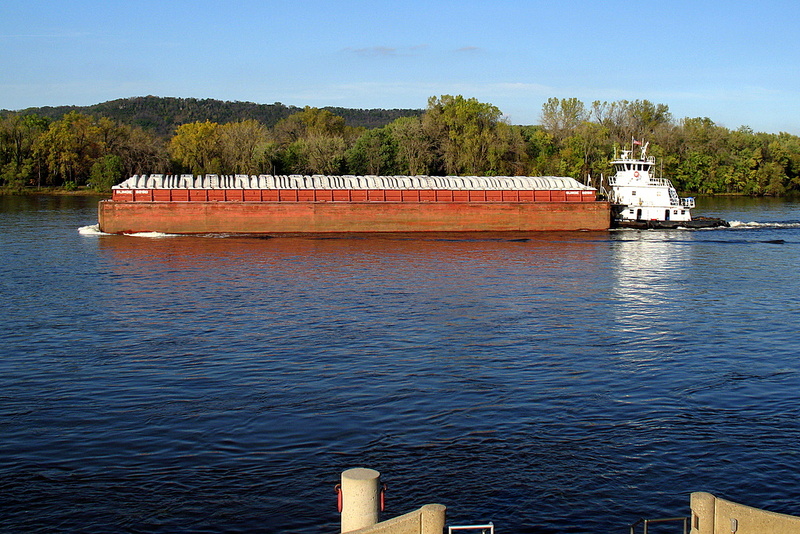 Made a quick trip along the bank of the Mississippi River to catch this empty barge cruising up the river to it's destination. It's easy to tell that the barge is empty because if you look closely at the paint above the surface, you can see rust lines of where it usually sits in the water. I would estimate there is about 8 to 10 feet above the water line that is now visible in comparison to the open doors on the tugboat. 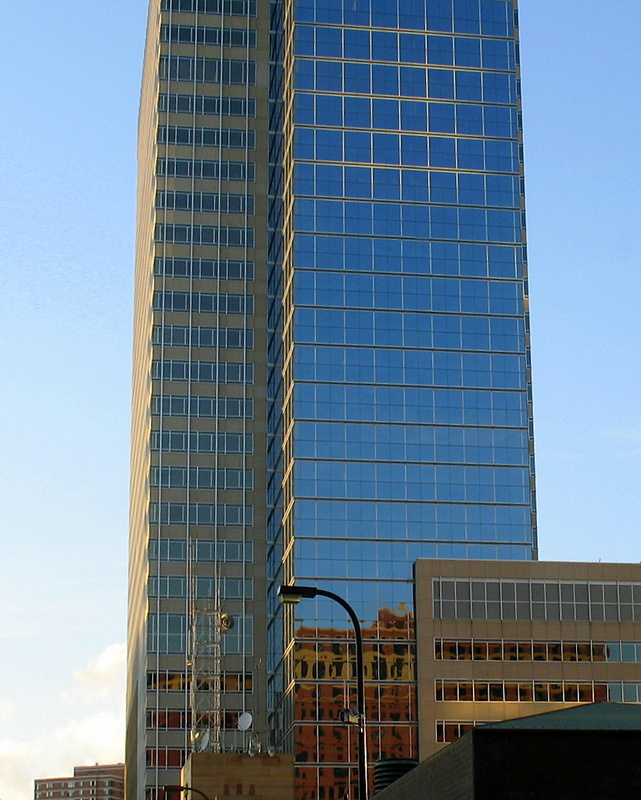 This is the top half of the IDS Tower in downtown Minneapolis. One thing I've always personally liked about the building is the two small antenna that sit atop the roof. I call the small, because they look small from the ground. I'm curious how tall they really are. You're thinking to yourself, this guy likes antennas? I have taken a course or two in electronics, my most enjoyable quarter was the course on television, radio, shortwave and anything to do with that subject matter. To sum it up, the course talked about how radio waves travel through the air, antennas pick up the signals and then how they are converted into items that we use on a daily basis. Ever since I finished that course in electronics, I've had a fondness for antennas because of their importance in our lives. One of two remaining drive in theaters is soon to close. For the past several years, there has been talk of the land owner of the Cottage Grove Drive-In was going to sell his land to a business. Last I've read in the local newspaper was he's having second thoughts. There has been a lot of positive talk about the drive in and he may keep it open an additional year. He said in the newspaper article that he was surprised by the good natured talk about the drive in. I know it's inevitable that it will close, I've brought my kids to the drive in as many times as I've could this summer. I hope they cherish the experience. Perhaps there will be yet another year for Cottage View. I can only hope. 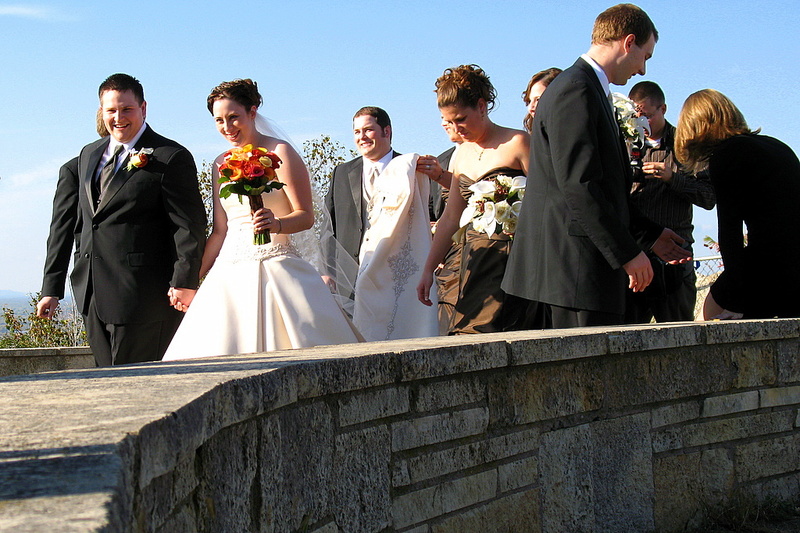 It was the homecoming theme for Park of Cottage Grove this past October. There was a parade to kick off the football game that was played later that evening. 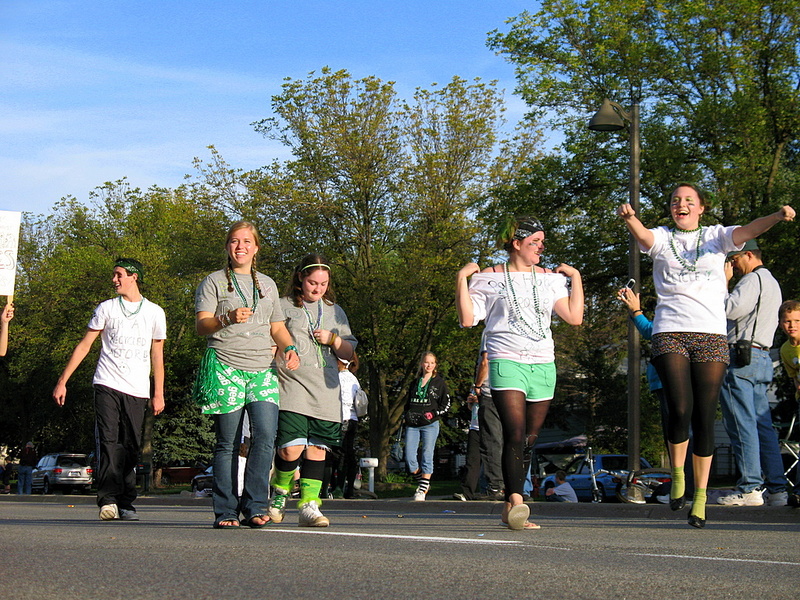 I really enjoyed the homecoming parade and how many of the students dressed in accordance to the theme. The theme was Go Green, Recycle The [Visiting Team]. Their name escapes me at the moment. You can see in today's photo some of the dress that resulted in the theme. They had fun dressing up, the boys football team won their game. It was quite the event for the community. I'm not sure what I like the best in this photo. 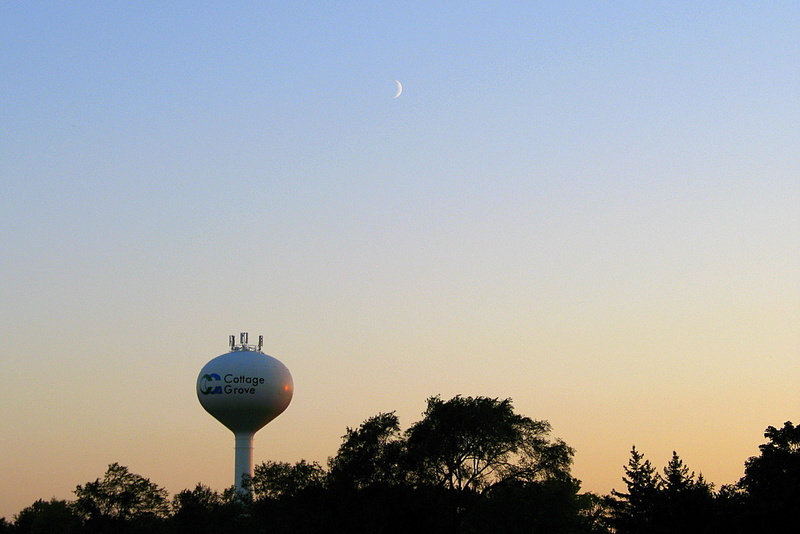 The sliver of the moon or the tiny reflection of the sun in the water tower. 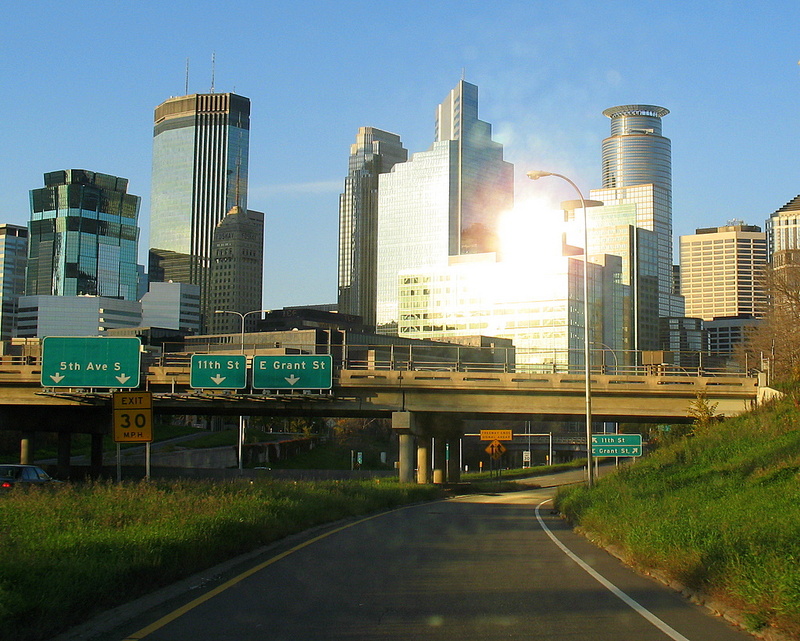 Drove over to Minneapolis a couple of weekends ago with my family. 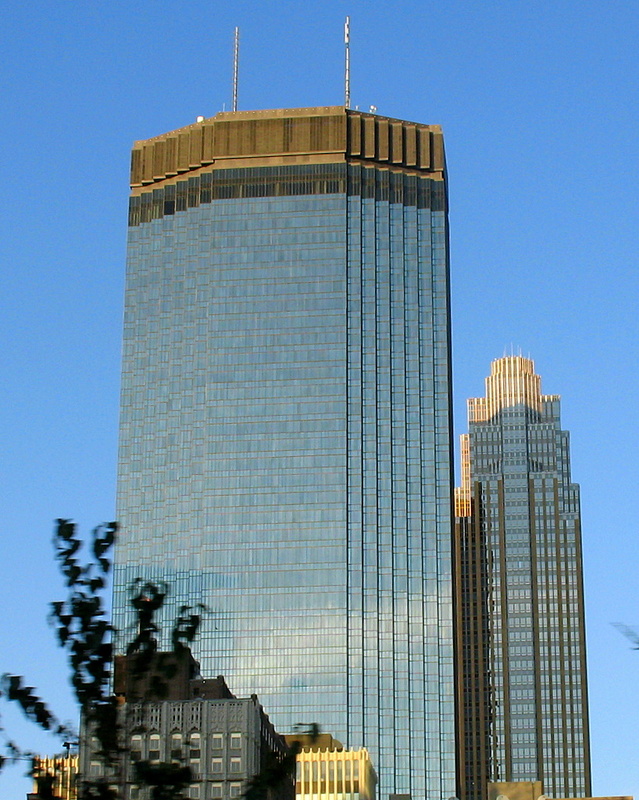 The sun was low on the horizon, the blinding light reflecting off of the building was very tough to deal with as we rounded the 11th Street Exit. Thankfully for this photo, I was NOT driving but was shooting. Election 2008: Take this US presidential election quiz to find out what politician represents your beliefs the most. 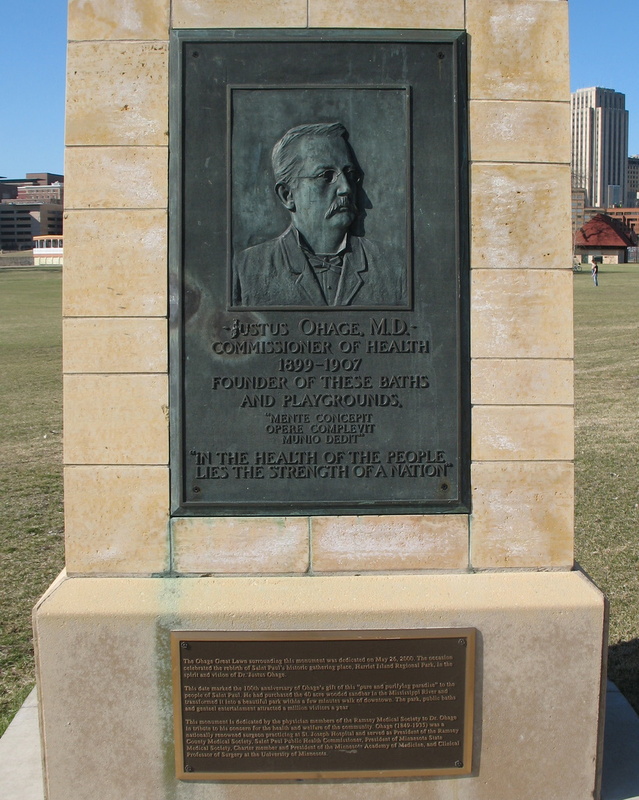 Dr. Justus Ohage, St. Paul’s health officer, bought the island and built a new park there, complete with public bathhouse and beach, playgrounds, handball and tennis courts, cafeteria, bandstand, pavilions, zoo, childcare facilities and picnic grounds. 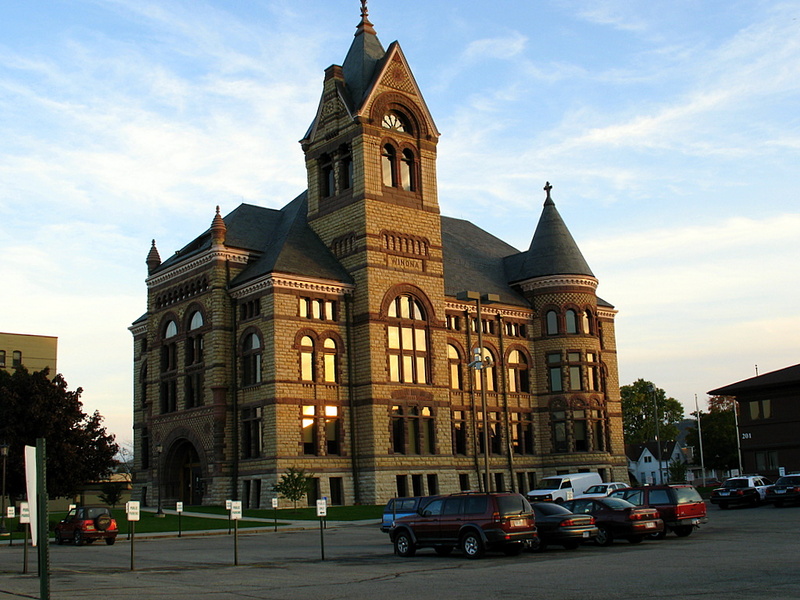 Attendance totaled six million visitors between 1900 and 1906, but recurring flooding and growing river pollution forced the public baths to close in 1919. On September 24, 1886, Dr. Justus Ohage performs America's first successful gallbladder removal in St. Joseph's operating room. It's only the ninth such operation ever attempted in the world. It's been 100 years since the passing of Doctor Justus Ohage. Those of you from the area should be able to figure out where this photo was taken. 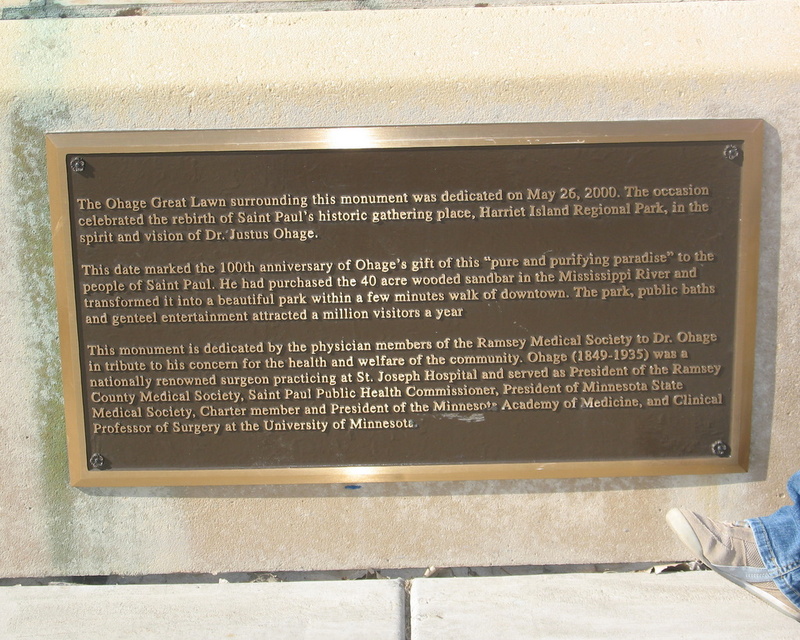 From 1849 to 1935, Dr. Ohage was a nationally renowned surgeon practicing at St. Joseph Hospital. I just want to apologize for quoting a Poindexter song lyric. I hope the song lyrics do not get stuck in your head. Again, I apologize for the inconvenience this may have caused you and wish you well in your day. Strange thing about this photo, this is not what I originally wanted to take a photo of. I'm more than happy with the result of the sunset photo. I have never seen this much red sky that I can recall. I was driving north on 35E on my way home, looking westerly when I could at the brilliant red sky as you see in the photo. I looked to the east through a clearing of the trees and saw a sight I still have a hard time believing what I was seeing. To set this up in your mind, a short rain shower had passed through close to sunset. 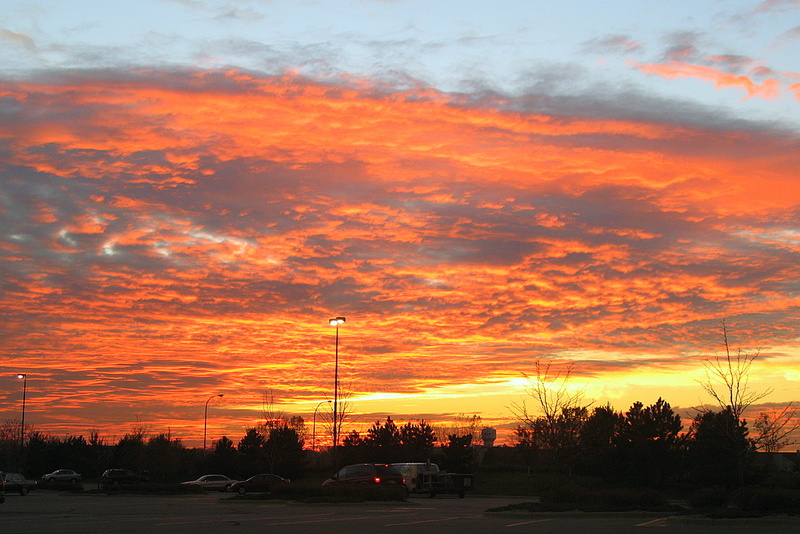 The pinkish red sky was dominate throughout the western sky. The sun was within minutes of setting beyond the horizon. When I looked to the east, I saw a rainbow. 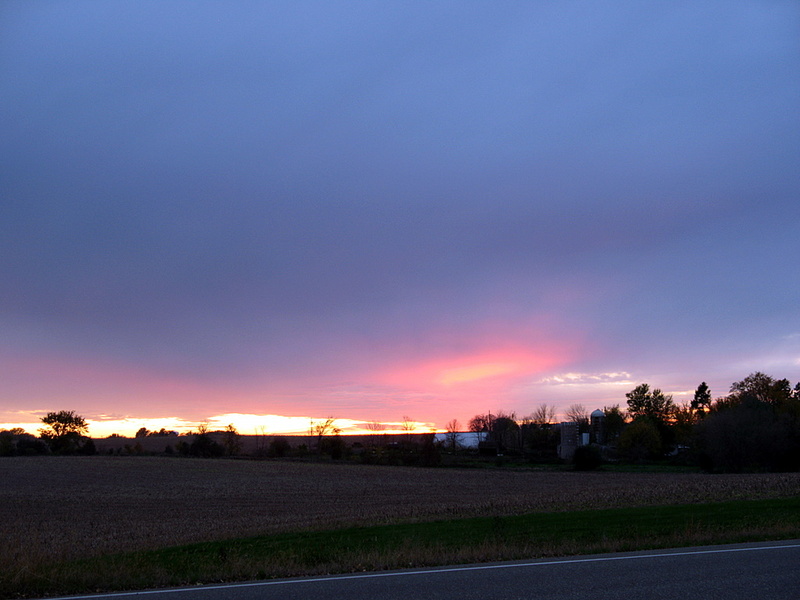 Keep in mind, the sky was pinkish red and SO WAS THE RAINBOW to the east. You could literally see several shades of pink gradually getting darker like you would see in full daylight rainbow, but it was only shades of pink. It was the most unique thing I've ever seen with the weather. I had to get a photo of that pink rainbow. I quickly took the next exit off of the highway. About a block or two off the highway was a parking lot for a large retail store. I made it too the lot, put my car in park, grabbed my camera and before I could get a shot off, the sun had set too much and the pink rainbow was gone. So I'll settle for this outrageous blood red sky. I've sat at this light many times before on my way home from work. I sit in the turn lane on a bridge that crosses 35E in Eagan. Until a couple weeks ago, when the sun was setting, the light must have been just right. 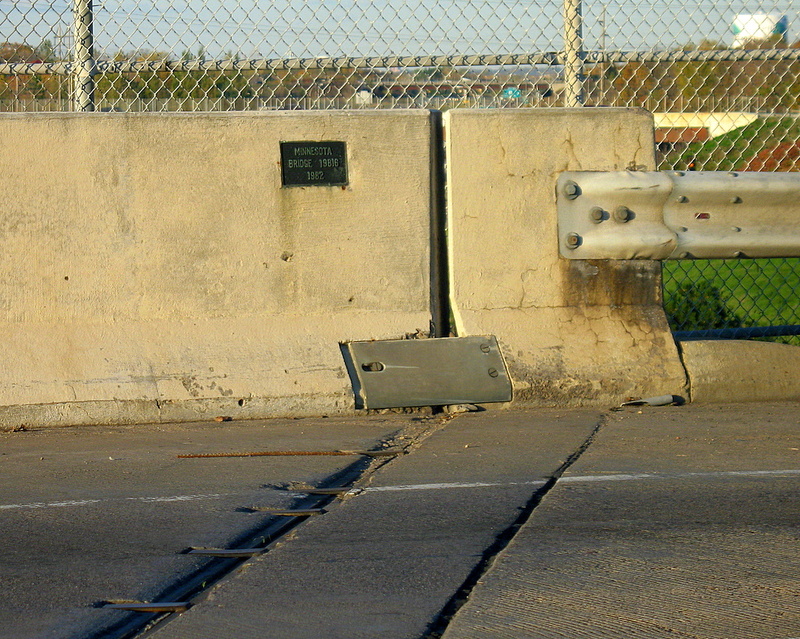 I saw the plaque you see in the photo embedded into the side wall. Bridge number 19816 was built in 1983 and is 310 feet long. 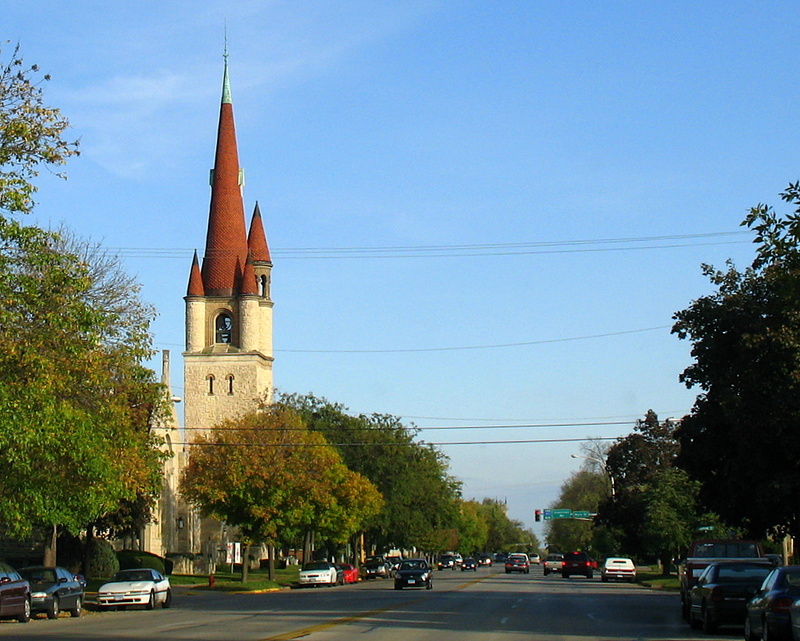 It has a sufficient rating of 96.5 as of September 12, 2007. I do like the added touch of the rebar poking through the street surface. Okay, I really don't like it. It is there for a reason right? Oddly enough, this photo was taken the day BEFORE yesterday's photo, yet they look nearly identical. 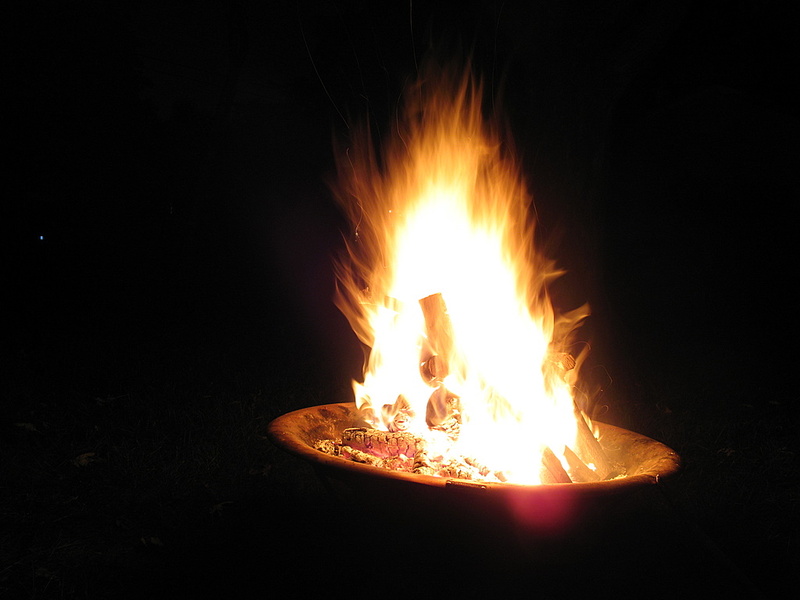 Today's photo was taken October 19, yesterday's was October 20. This photo was taken near Highway 61 in Cottage Grove. Driving to Woodbury a couple weekends ago, I pulled over to the side of the road to capture the setting suns rays on the underside of the clouds. It was really strange as there was a blanket of clouds hiding the sun for the entire day. 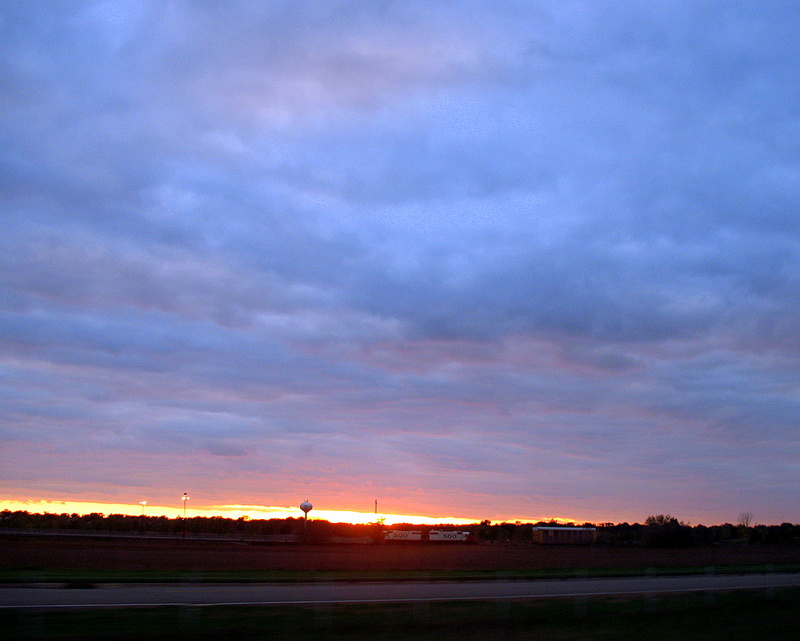 However, as you can see, there is a break in the clouds to the west that allowed for this shot to happen. 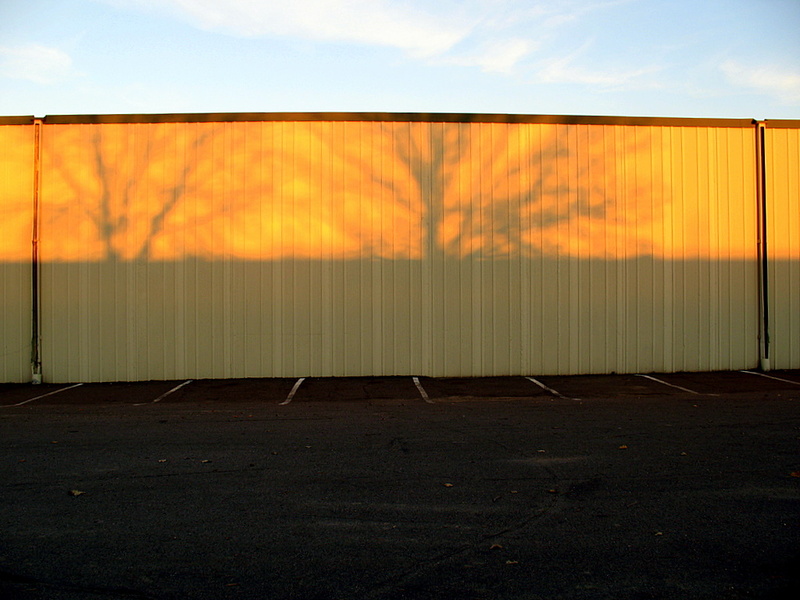 Taken as the sun was setting, the trees shadows caught my eye that were framed between the downspouts. Theme Day in the land of the City Daily Photo community. This month we voted for the theme to be "the color blue". I selected an archived photo, it's a personal favorite of mine that I took during the summer of 2006 while I was sitting on a curb resting at the Car Craft Summer Nationals at the Minnesota State Fair Grounds. 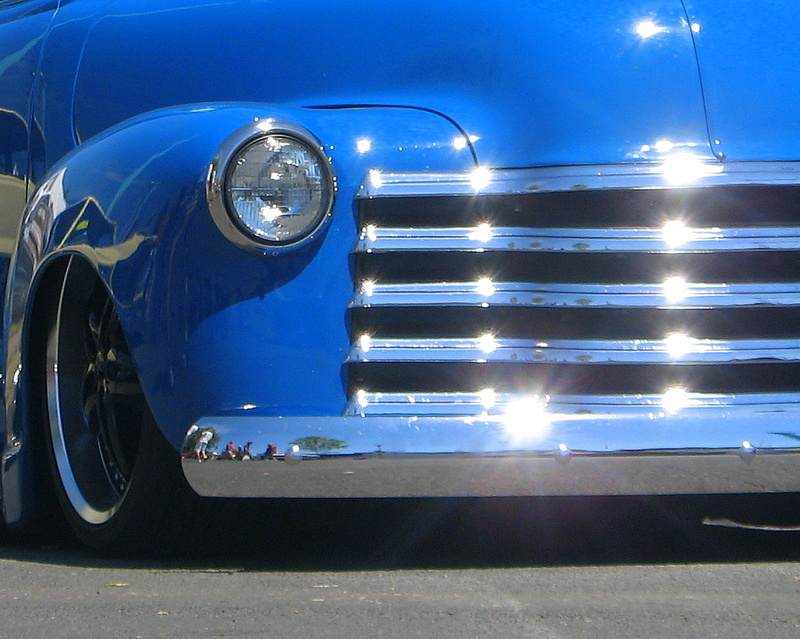 I'm not sure which person in the bumpers reflection is me, but I am in there. Please make a visit to the other cities participating in the November Daily Photo theme day, the links are below this photo.